When you develop Gradle plugins it's important to have an ability to debug them. There are already a couple of articles online about how to debug Gradle plugins in IDEA with remote debug, but I found it not very convenient since I need to remember JVM options for remote debug and pass it to Gradle. 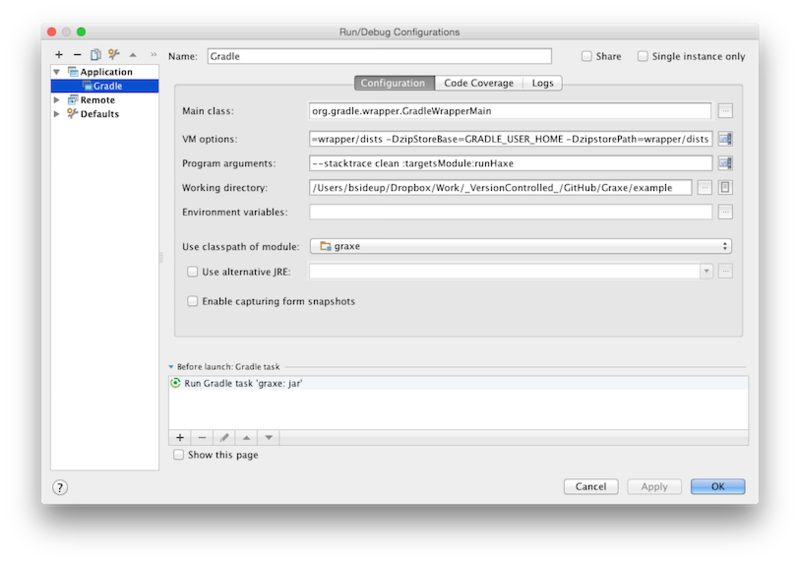 So, I decided to run Gradle from IDEA like a normal Java application. Note that the project should have Gradle Wrapper. Now Gradle Wrapper is available at runtime in IDEA (this will not add dependency to gradle-wrapper to your plugin, it's only for IDEA). Program arguments: all that goes after "gradle" command, for example "clean build"
Before launch: remove "Make" and add Gradle task "jar"
That's it! Now you can debug just created configuration. Easy, isn't it?